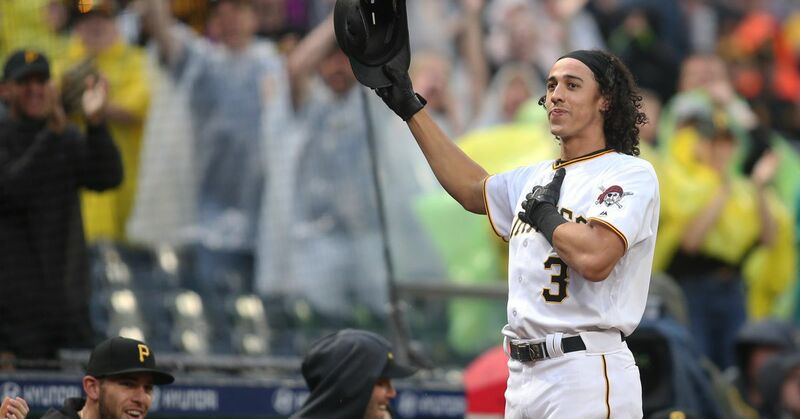 Dear Pittsburgh: Don't Break Up the Pirates! With less than a month now until pitchers and catcher's report, I would like to reach out to an organization that quite frankly needs a wake-up call: The Pittsburgh Pirates. As fans of this lovely city watch their beloved Steelers play for their second title in three years (and sixth as an organization). I can't help but wonder if the front office of the Pittsburgh Pirates has ever wandered over to Heinz field and sat down for a lesson in how to run an organization. The Pirates run of futility over the last 16 years has not gone unnoticed by those with any knowledge of baseball. It's understandable that in the years following Bonds, Wakefield, Van Slyke, Drabek, Bell and Timlin they were in a period of rebuilding. Any team losing that kind of core of (then) young stars would need some time to recover. Something truly amazing has happened in the years following the so-called "rebuilding" effort in Pittsburgh. Something so utterly amazing yet unbelievably unexplainable I had a hard time even believing it myself. They shot themselves in the foot! Pirates fans have had to go through a rebuilding effort that has watched star (Brian Giles), after star (Jason Bay), after star (Xavier Nady), after star (Mike Gonzalez) leave town. It is beyond me how an organization, loaded with this kind of talent, can legitimately look at themselves and say "they're giving they're organization a fair chance". Not taking advantage of the arbitration years of these young studs or even finding the funds to keep some of them around long enough to flourish with the other young talent brought up in recent years (Nate McClouth, Freddy Sanchez and crew are a pretty solid group to build around folks). Alas it has to be frustrating for the revolving door of unqualified coaches ( yes I mean you Lloyd McClendon, Jim Tracy, and now John Russell) to watch as stud after stud leaves for different pastures. If you were to tell me that the best starting line-up of the 2008 Pittsburgh Pirates, a group that included Adam LaRoche (an import that I, as a Braves fan, am sad to see sweet swinging away elsewhere), Xavier Nady, Nate McClouth, Jason Bay, Freddy Sanchez, Jack Wilson, Ryan Doumit and ace Ian Snell were playing against the 2008 world champion Phillies in a three-game series any real baseball scholar would have a hard time not making a case the Pirates have a shot position for position. Even a fantasy savant, at one point or another, salivated over the young talent possessed by the Pittsburgh rotation. Snell, Maholm, and Gorzelanny were leading the way. This staff has the makings to be one of the best young staffs in the league. Not to mention supplementing the rotation with a bullpen anchored by Matt Capps, who is still only 25, and John Grabow who went 6-3 with a 2.84 ERA last year. So General Manager Neal Huntington, Team President Frank Coonelly, VP and General Counsel Larry Silverman, and even nameless Manager John Russell, Pittsburgh fans beg you, from the bottom of their hearts to give them something to cheer about when the weather is nice out. Give them reason not to long for that terrible towel in the middle of June. And for goodness sakes please, with talent like All-Star Nate McClouth, future Gold Glover and All-Star Adam LaRoche, two-time All-Star and Batting champ Freddy Sanchez, they beg you not to break up the Pirates!